It is 5:15 pm in Brooklyn and I am still in my bed. 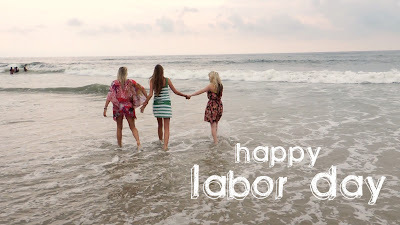 My roommate and I have decided that labor day should be a day of 100% rest and I have strictly stuck to the concept. Naps, reading, nail painting and movies is all I need today. Wow, I sound like the laziest person on earth. I swear I'm not. I had a very busy weekend and I felt I owed my bed some quality bonding time after a weekend away from it. A night on a pull out bed and another night on a couch makes my old, springy, bumpy mattress feel almost perfect. And it's nice to be surrounded by my lovely things. Saturday night Lydia, Terra and I took the train to New Jersey to visit James and Blake. It was a perfect night. We got off the train and headed to Taco Bell. Ha! You can't find TB anywhere near our apartment in Brooklyn and when you are as poor as we are right now, 89 cent tacos make for the perfect dinner. We then drove to the middle of no where in NJ to stay in a beautiful mansion. As much as people dislike Jersey I must admit I kind of love it. I'm sure this is because it reminds me of home. Every time I am there I get to hang out with my east-coast family (James & Blake) and be surrounded by giant green trees (not skyscrapers) and drive in an actual car that isn't a cab. We spent time whole night swimming! Which to me was a wonderful way to spend the last weekend of summer. We drank champagne, slid down the water slide and ate chips & salsa while reruns of The Hills played on MTV. The next morning we road tripped to the Jersey Shore. Yes, Seaside, where THE actual Jersey Shore is filmed. Although I am not a fan of the show and have never even watched an episode, it was pretty fun to be there. We stopped at IHOP on the way after I practically begged everyone to take me to breakfast. I had been craving a good breakfast for weeks. Then came the beach. I have a video in the making... My own version of the Jersey Shore. STAY TUNED! Anyways, enough of my writing. This post is far too long as it is. I love you all. 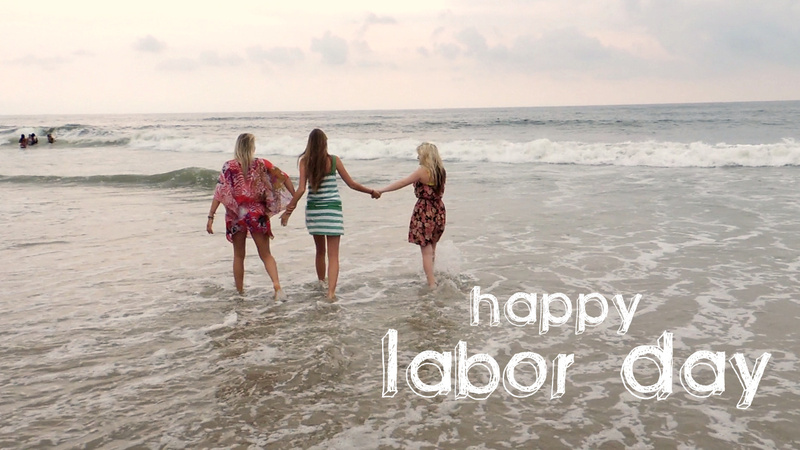 I hope you are having a wonderful labor day. sounds dreamy! Miss you cute girl.